Some major waterfowl changes are going to be happening in the Atlantic Flyway, of which New York belongs, starting this year. I've written about the reduction in daily limits for Canada goose because of the decreased numbers of the Atlantic population of Canada geese as well as the reduction in season dates. I've written about concerns over mallard and black duck numbers and told readers that mallard daily limits will be cut in half this year. We all took that at face value because of concern for the overall numbers and the future of the resource. However, are we truly facing dire circumstances in Western New York? One person who has some questions is Ken Zolnowski of Buffalo, a longtime volunteer with the NYSCC Waterfowl Committee, active with the Finger Lakes and WNY Waterfowl Association and a former member of the Western Zone Task Force on Waterfowl, serving for 17 of the last 20 years until the state’s Department of Environmental Conservation started to phase out the task force. The task force, made up of 10 to 12 individuals representing the leadership of waterfowl groups and sportsmen’s representatives in WNY, helped shape the duck and goose hunting seasons each fall and winter. The group made season recommendations that would come from New York using federal guidelines. Zolnowski is familiar with computer modeling. He’s a scientist who regularly deals with these kinds of real-life scenarios. One example showed that in the Western Zone, the abundance data on mallards and black ducks was nearly as high the last week of January as it was the last week of November and the first week of December. “If that’s the case, where are they coming from?” said Zolnowski. “By the time we hit the first week of December, many areas like Montezuma and Iroquois and areas north into Canada freeze over. As the winter weather becomes more severe, it pushes these ducks out and the number of ducks in New York continues to drop. “Because they are using eBird data, one of two things could be happening. Either there is over-reporting from bird concentrations in the few remaining open water areas or there is contamination of New York data from reports registered in adjacent states and provinces. Zolnowski said the DEC has acknowledged that birdwatcher reports from Ohio, Pennsylvania and Canada were used in the analysis. Zolnowski is a statistics guy. He backs up his statements with data when he can. He questions how mallard populations could have dropped by 20 percent overall in the flyway. In mallard harvest data recorded from 1999 to 2018 at the Iroquois National Wildlife Refuge, there has been a 100 percent increase in mallard harvest over two decades of hunting. “You can’t shoot ducks that aren’t there,” he said. The mallard is the No. 1 bird killed by duck hunters in New York, making up 40 percent of the harvest. The daily limit will be reduced from four birds (no more than two hens) to two birds (no more than one hen) starting this fall. The duck seasons being moved this year, which will be similar for the next five years, will be Oct. 19 to Nov. 10, and Nov. 30 to Jan. 5, 2020. 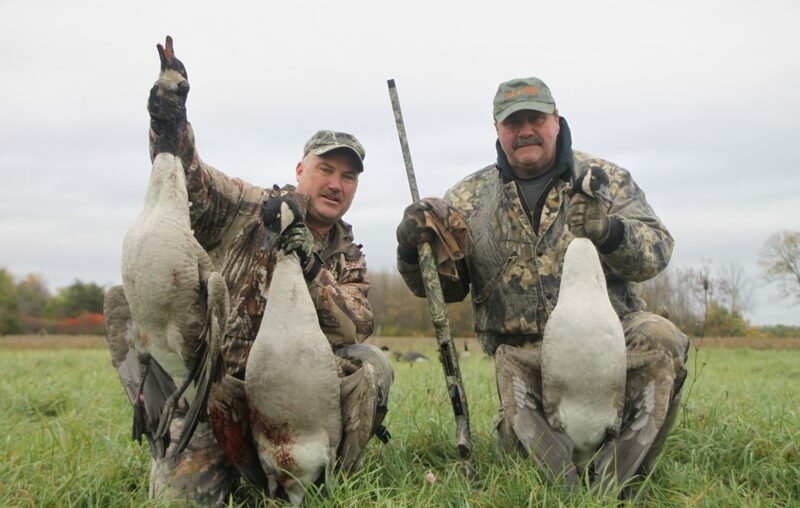 “It’s another nail in the coffin for waterfowl hunting and people will start to leave the sport,” Zolnowski said. Goose hunting also is being impacted. The West Central Area of the state, which includes major hunting areas Iroquois, Montezuma, Oak Orchard, Tonawanda and much of the Finger Lakes, will see a reduction from 45 to 30 days. The daily limit will drop from three to two birds per person. In addition, the special March hunt in the South Area will be eliminated due to some banded Atlantic Population geese being harvested in Niagara County this year. Rather than move or adjust the boundary, the special hunt was eliminated. “What doesn’t make sense is that Atlantic Population Canada goose breeding pair counts were down by 30 percent, but the total population actually increased from 2016 to 2018,” Zolnowski said. Zolnowski fears that the outdoor heritage of duck and goose hunting might be taking a serious hit that we won’t be able to recover from. He said it will affect the state’s Conservation Fund as well as the Migratory Bird Stamp coffers and could affect the federal monies coming into the state for license sales. This is why it’s important to get involved with groups dedicated to your favorite pastimes and passions. Don’t take things at face value and be sure to ask questions.